Many kids wants a furry little friend to be their playmate. The fun of chasing balls, mastering tricks and sharing a little happiness is a big part of playing. Now every household can have an adorable, furry friend with the new toy, The Happys. The Happys are a new toy from Cepia, the makers of ZhuZhu Pets. These toys are very realistic furry friends. From adorable puppies to cute kittens, The Happys are ready to earn a place in your heart. The Happys can sit, pounce and play. As they play and learn, The Happys can unlock treats and accomplish more tricks. Each characters special treat unlocks an unique trick. The puppy might beg or the kitten could pounce. The more a child plays with the toy, the more the toy reacts. Since The Happys have a motorized component, these pets work best on a harder surface. Tile and hard wood floor has better playing opportunities than plush carpet. My kids have been asking for a pet for a long, long time. While we have a vacation dog (we get to pet sit while our friends go on vacation), the kids have been wanting a pet of their own. With our busy schedules, I have been very reluctant to get a pet. The Happys are a perfect solution to our dilemma. The kids get the "play" fun of a cute, furry pet without the chores (ie clean-up). Everyone is happy! 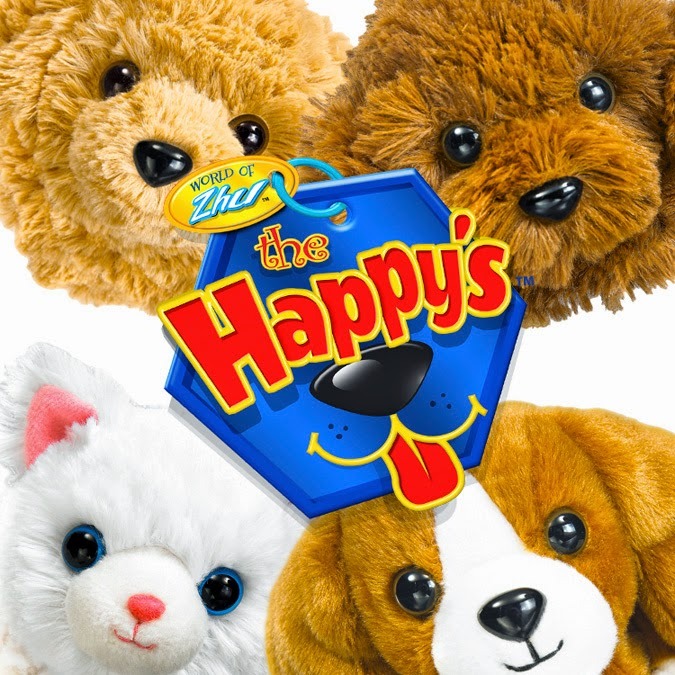 The Happys will be available for purchase this Spring at Toys R Us, Walmart, Target, Justice and Radio Shack. Would you like to have The Happys in your home? Please use the Rafflecopter to enter. Disclosure: I received this item to review as part of a campaign. All opinions are my own. My favorite way to get Happy with The Happys is to play chase with the ball! My favorite is the 25+ silly sounds. My grandkids would enjoy chasing it around. Great excerise. My kids would love to watch them play and chase them! These are so cute! My son would love one of them. I think he'd love to chase it around and I'm really unsure if he would love it more or my hubby, lol! My daughter carries around a puppy with her everywhere. I think it needs a friend. My daughter just asked for a dog..This would really work for us. Our real puppy may get jealous, but these sure are cute. Playing and leaning tricks with #TheHappys is how we all would get Happy!